Dr. Yogesh: A Wish... That Came TRUE ! A Wish... That Came TRUE ! "EVERYONE wants to own a beautiful smile " . 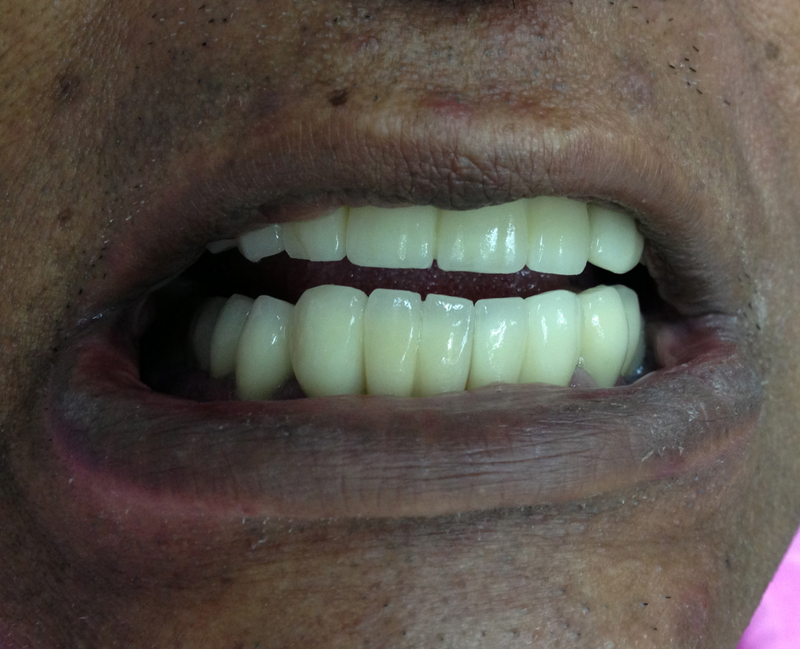 So I was told, by a 62 year old man, native Malaysian who had come to see me for a regular dental visit one fine evening. He had a tan complexion, a false eye and few grey strains of hair left on his head, but he had the spirit of a 25 year old youth when it came to life. Being diabetic and hypertensive, he was taken ill most of the time and spent more hours in the hospital than at home. But yet, he never gave up on life and cherished every moment he had. He always had a smile on his face where ever he went. But what occurred to me was he never showed his teeth in any of his pictures. Its interesting how much our teeth affects our daily life. 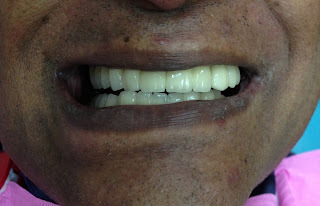 We think about chewing our food with our teeth being the main issue, but others such as phonetics, and aesthetic appearance makes a huge difference as well. This poor man, had given up smiling for a very long time. When asked he mentioned that he cant remember when was the last time he smiled with his teeth. Then, it all became clear when he tried smiling with his teeth showing. Many people suffer from this issue everyday. Having a poor dental hygiene together with conditions such as missing tooth, crowding and discolored teeth affects their lifestyle and habits. Now we knew what he was going through, and we offered him a chance to Change his Smile completely. But, we know it was not going to be easy. So, we had to plan! The treatment of giving our patient a new smile was to be done in stages. 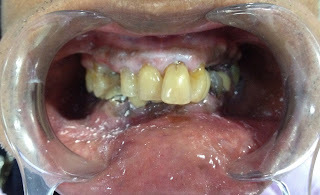 The idea was to repair his broken and infected teeth, DESIGN a new smile for him and construct some new Zicornia crowns. 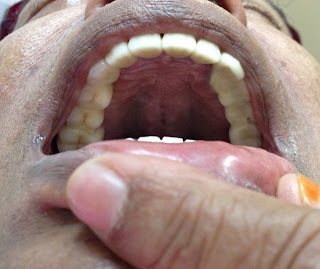 Some implants were suggested on his missing lower left molars. It was a combined surgery with Oral Surgeons and Prosthodontists, correcting his bite and treating few of his teeth with Root Canal Treatments, while 3 Implants were placed and the rest of his teeth were fitted with beautiful white crowns ( after some crown lengthening and Laser treatment on the gums - Emundo dye ). ToothLESS is Kuala Lumpur ! ! !